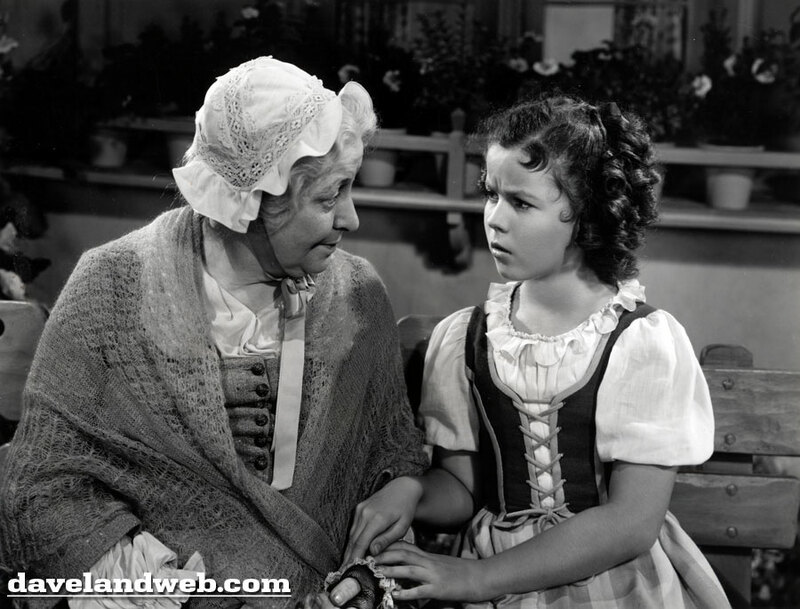 Not wanting to tie up their number one star by loaning her out to another studio, 20th Century Fox declined MGM’s attempt to borrow Shirley Temple to star in “The Wizard of Oz.” In actuality, it was the number crunchers who wanted little Shirley in the first place; the creatives behind MGM’s lavish musical didn’t really want Shirley at all, but rather had their sights set on up-and-coming star Judy Garland. 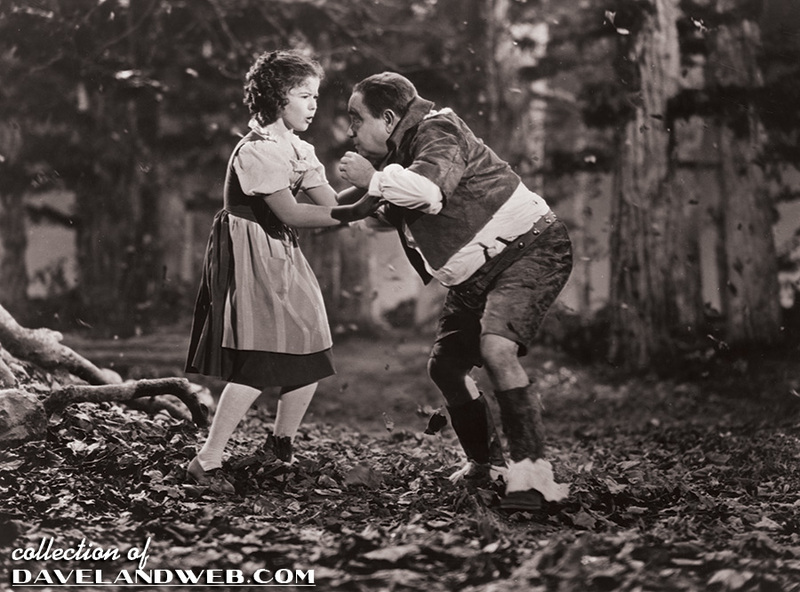 Although Shirley was physically closer in type to play Dorothy because of her younger age, Judy Garland was able to bring a realism through her vocal talents and natural acting ability that Shirley would not have been capable of. 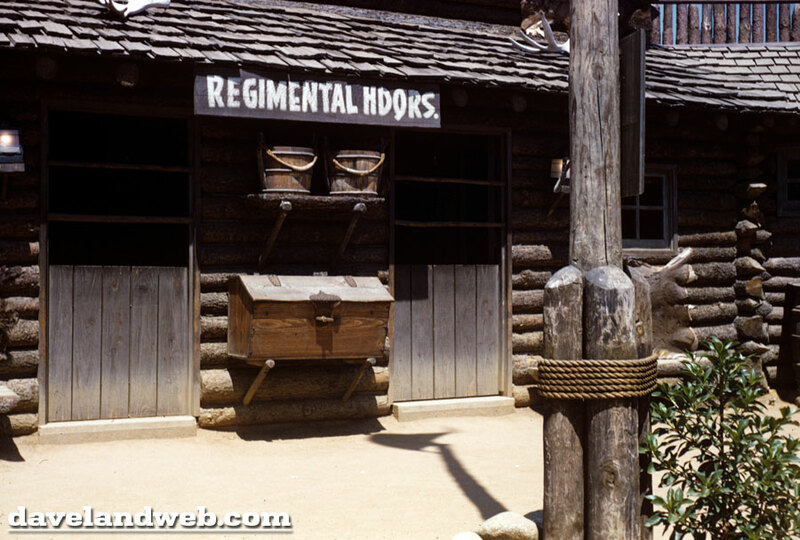 A less than impressive vocal audition for Roger Edens convinced MGM that Shirley was not right for the part, regardless of what Fox was willing to do. In addition, Shirley’s character, Mytyl, is a brat. Thoroughly unlikeable, Temple plays her with relish. This was confusing for audiences at that time as they expected to see Shirley spreading sunshine as she had in all of her past successes. Let’s call this Strike One. 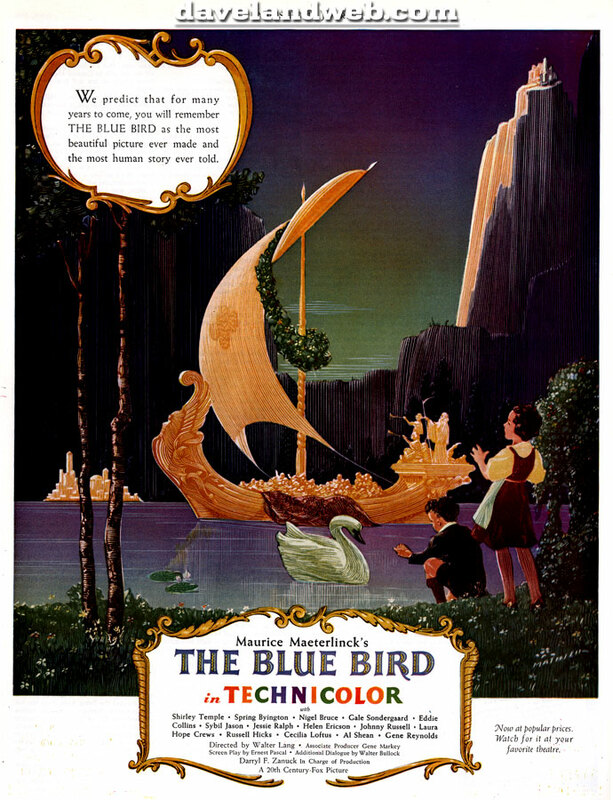 Whereas “Oz” had many memorable musical numbers that were elaborately staged, “The Blue Bird” had only one musical number, “La-de-O,” which was about as simple as could be. 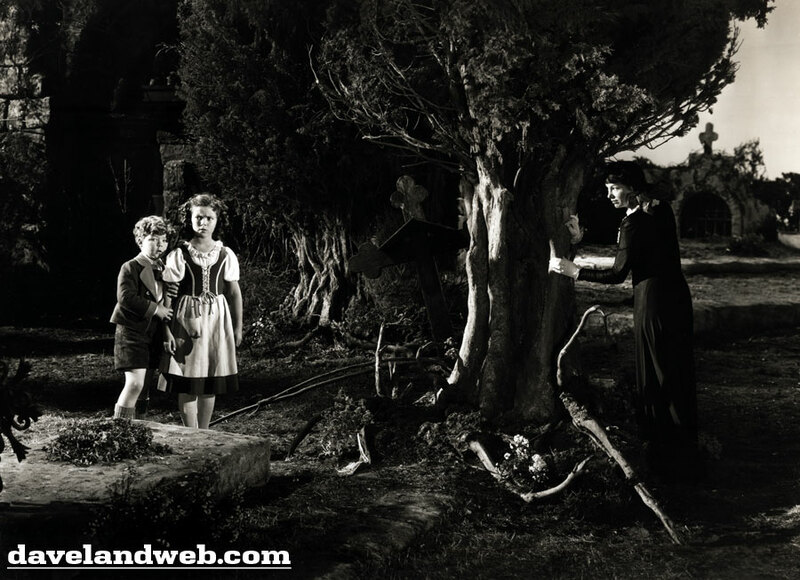 At this stage of the game, Shirley was almost 12 years old; no longer a precocious and natural child, her acting seemed less natural and at times, almost forced. Her dancing in this number also appears to be a little over-rehearsed, and not as natural and effortless as one would expect from a number that is supposed to appear off-the-cuff. A “nice” number, but given the heavy nature of some of the material in this movie, audiences who expected to be uplifted by memorable song and dance were deeply disappointed. We can call this Strike Two. Last but not least, the promotion for this movie was also somewhat heavy. Going for an artistic and vague approach, the ads for the movie promised a rich and thought provoking cinematic experience. 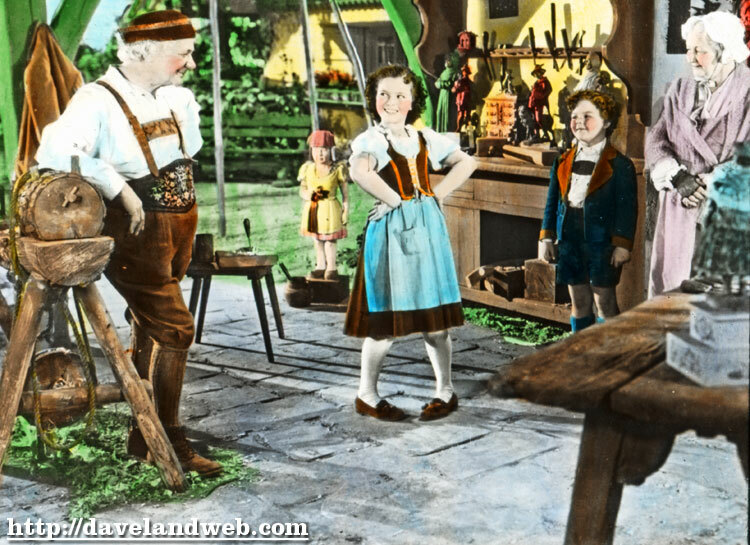 The artwork for the posters and advertisements was in the style of an Old World fairytale, which Fox believed would add prestige and a cerebral element to their motion picture that the “low-brow” “Wizard of Oz” lacked. 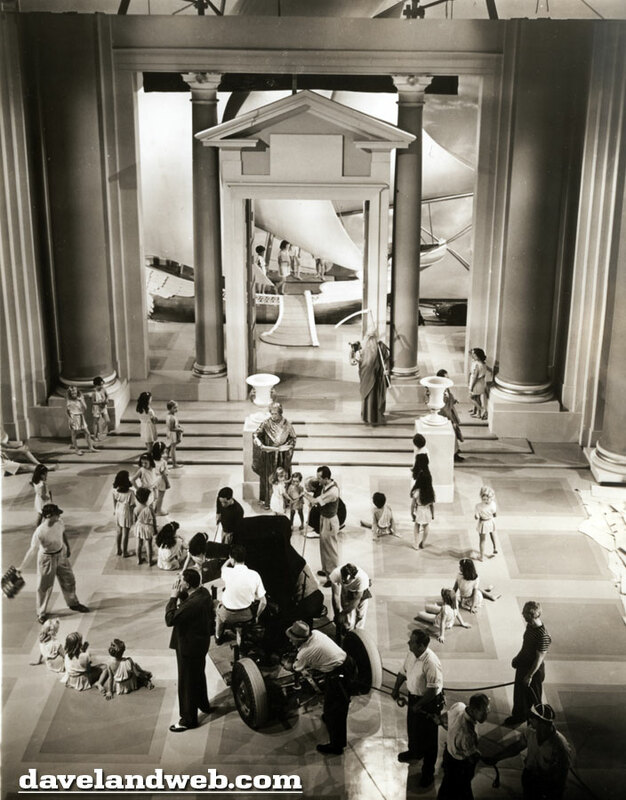 Audiences of 1940 were just coming out of The Depression and entering World War II. They didn’t want something thought-provoking; they wanted a happy escape. “The Blue Bird” provided no escape. Yup...Strike Three. 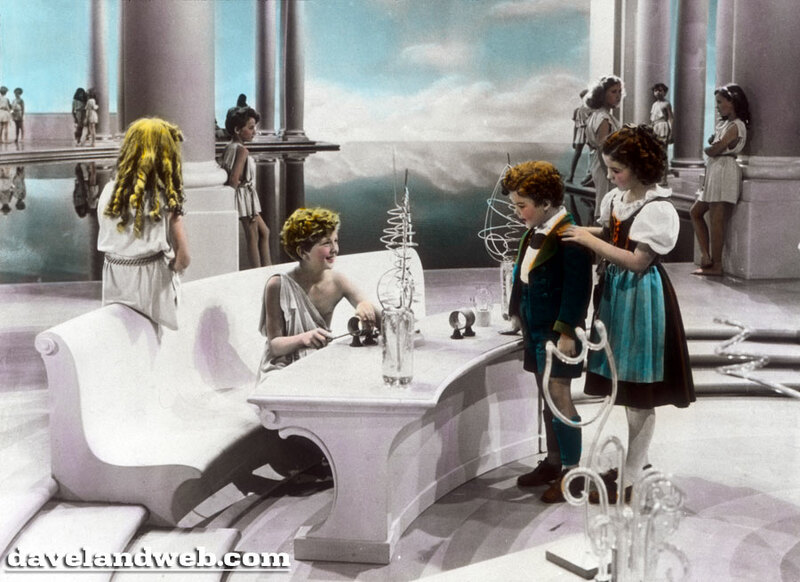 Here is the lobby card from the movie’s original release; the artwork is gorgeous, somewhat reminiscent of a Maxfield Parrish piece. 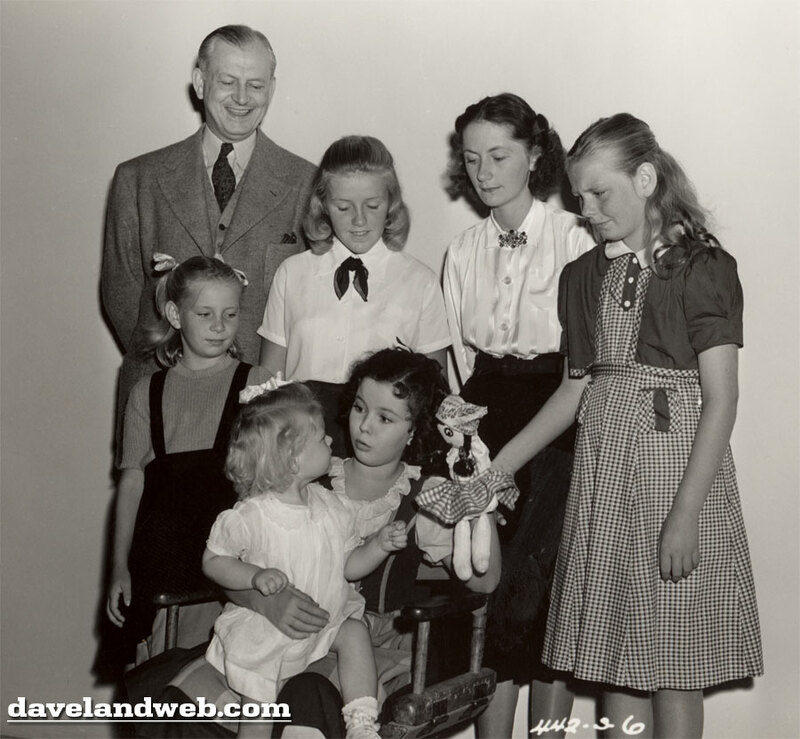 In a way, this candid shot taken on the set of the film sums things up very well...Shirley is attempting to entertain but the people around her seem almost pained and confused (I think Shirley should put the creepy handpuppet away!). On its initial release, “The Blue Bird” was called “Dead Pigeon” by its detractors. Audiences didn't get it, and most of them (even if they did get it) were less than amazed. 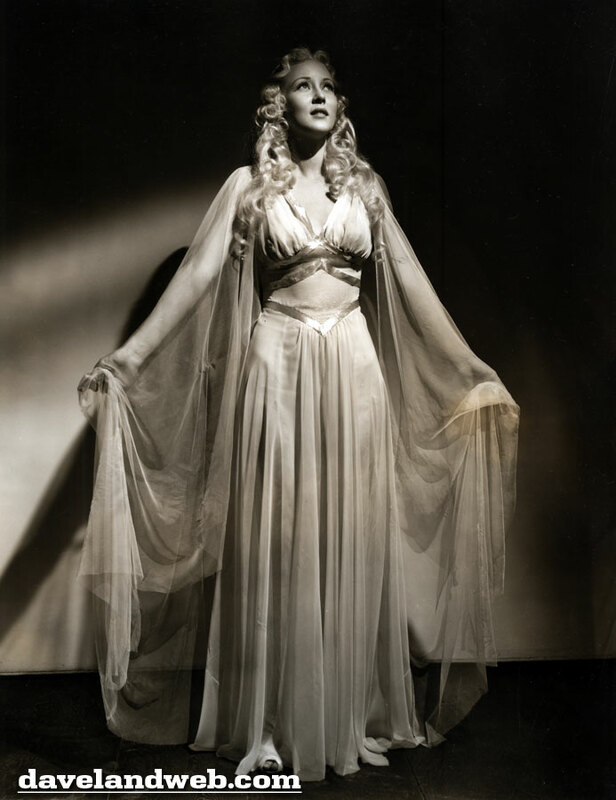 Loss of the overseas market due to the War also sealed the fate of this movie which has always been known as the film that killed Shirley’s career. 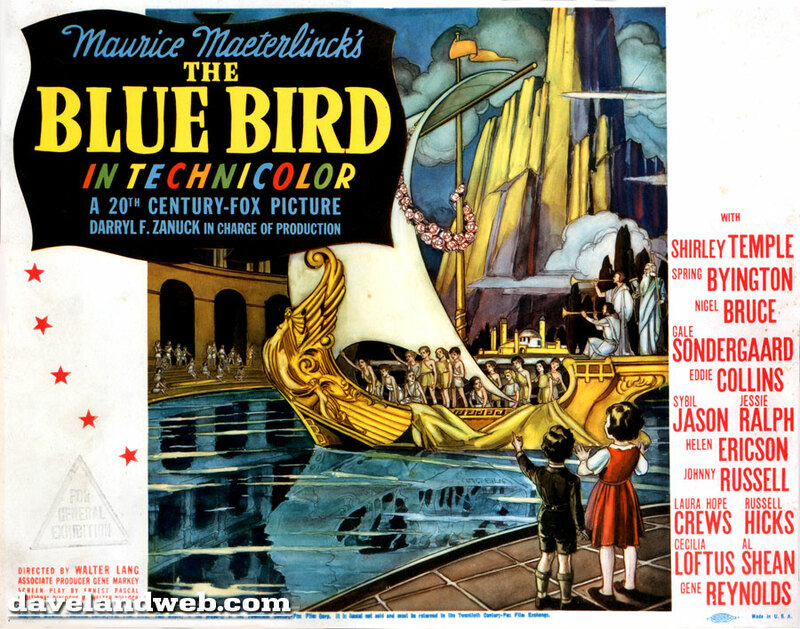 On a brighter note, “The Blue Bird” was nominated for two Oscars: Best Color Cinematography (Arthur C. Miller & Ray Rennahan) and Best Special Effects (Fred Sersen-photographic & Edmund H. Hansen-sound). 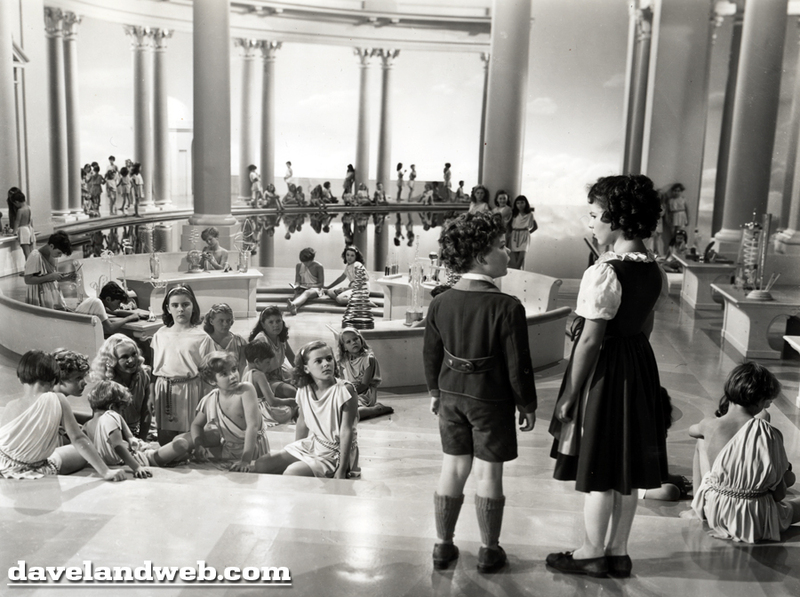 This was probably very little consolation for studio head Zanuck. Flash forward to today, and this film has definitely crept up in the respect department. 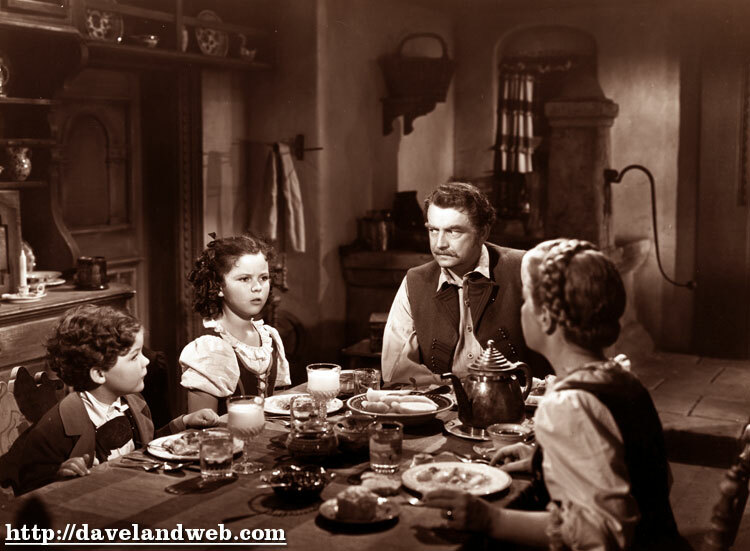 Definitely not as bad as what critics labeled it to be in 1940, it really is a charming and beautiful film. At times, it does appear a little stage-like, but overall, definitely enjoyable (personally, I think “Susannah of the Mounties” (1939) is much worse!). 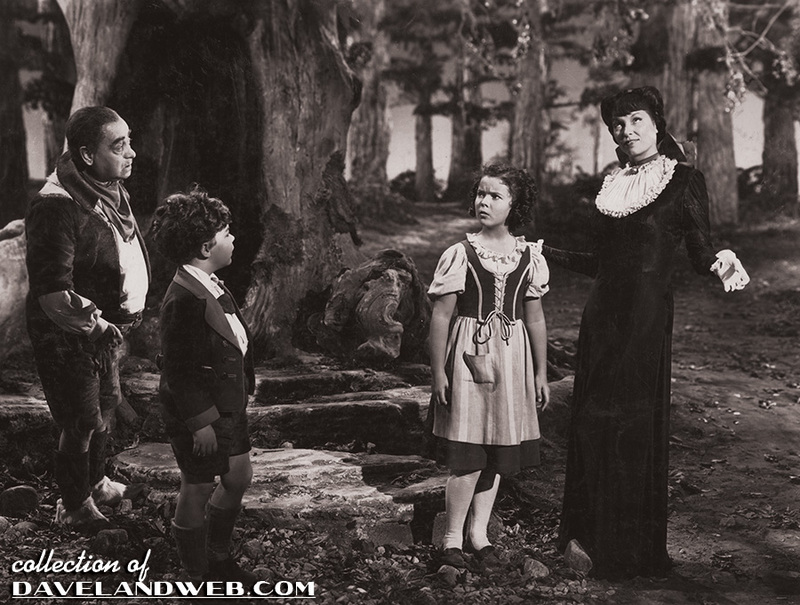 Shirley gives a great performance as the bratty Mytyl, showing the depths of her talent when given a role that she liked. Gale Sondergaard, who turned down the part of the ugly Wicked Witch in “The Wizard of Oz,” is perfectly cast here as the evil yet glamorous feline villain (shown in the photo below on the right). 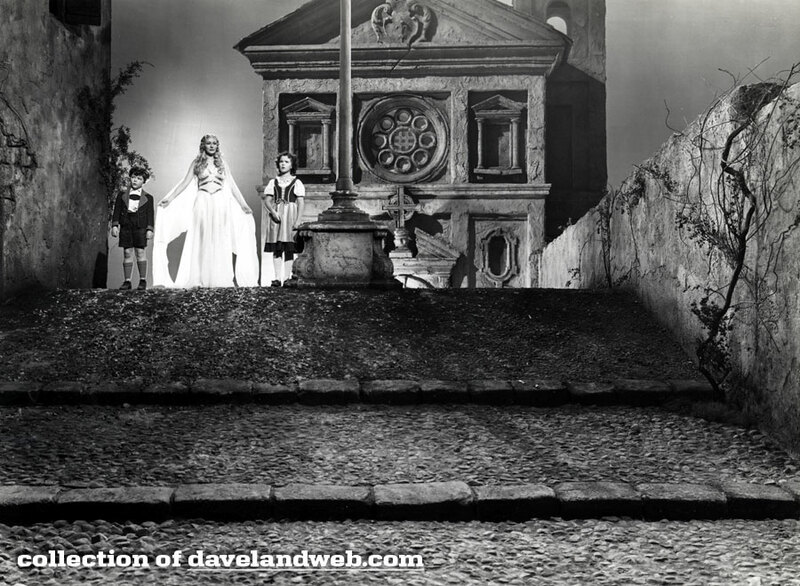 The Technicolor is rich and the sets are marvelous; hard to forget the milk-white Land of the Unborn Children. Yes, slightly creepy in concept, but also very cool. My dad used to tell me how as a little boy, the separation of the young lovers (who were to be born at different times, thus missing each on earth) scene had such an effect on him. Quite frankly, Mrs. Berlingot's exclamation at Angela walking suffices; no dramatic scene was necessary. Most likely, it would have added a sappy touch of melodrama to the movie that would have been (unintentionally) laughable. Personally, it was probably one of the better decisions that the studio made in editing the film. 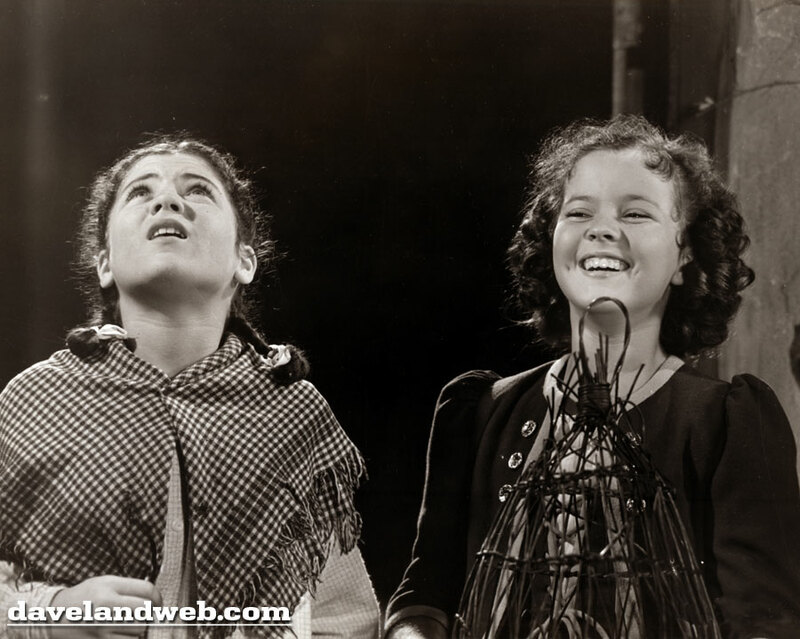 This still of Sybil & Shirley from the final scene of the film could be titled, “She who laughs last laughs best!” Today, Shirley is still remembered whereas Sybil is virtually forgotten. Regardless of its initial showing, this film stands on its own today as fine (albeit slightly flawed) family entertainment. Follow my Daveland updates on Twitter. 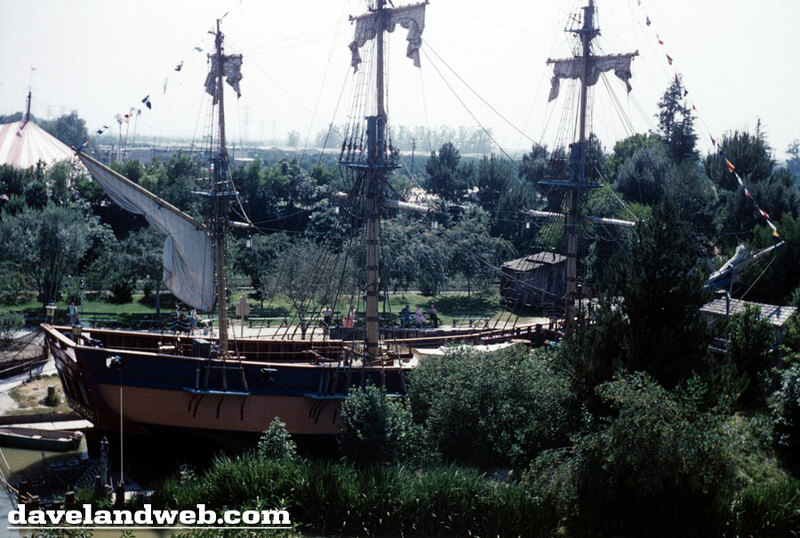 To see more “Blue Bird” photos, visit my regular website. Today finishes out this 1959 series with a random assortment of images and closeups. 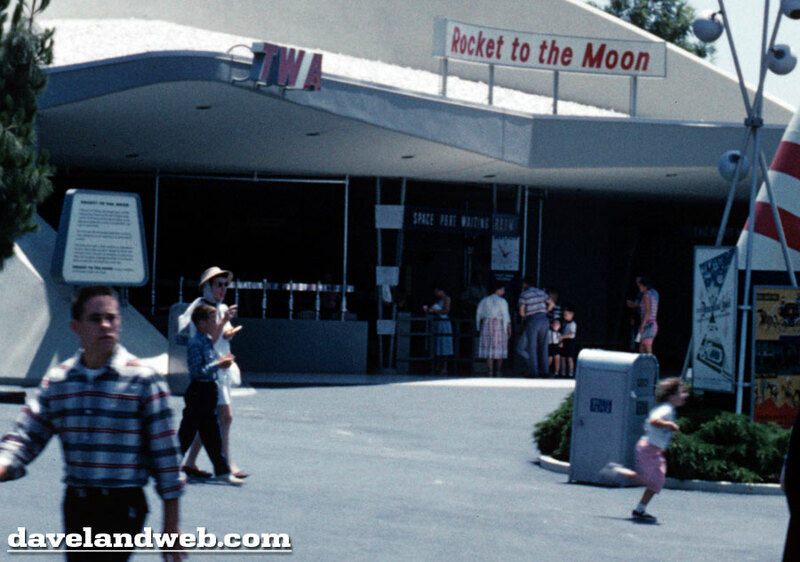 Back in the day, TWA sponsored the Moonliner/Rocket to the Moon attraction in Tomorrowland. 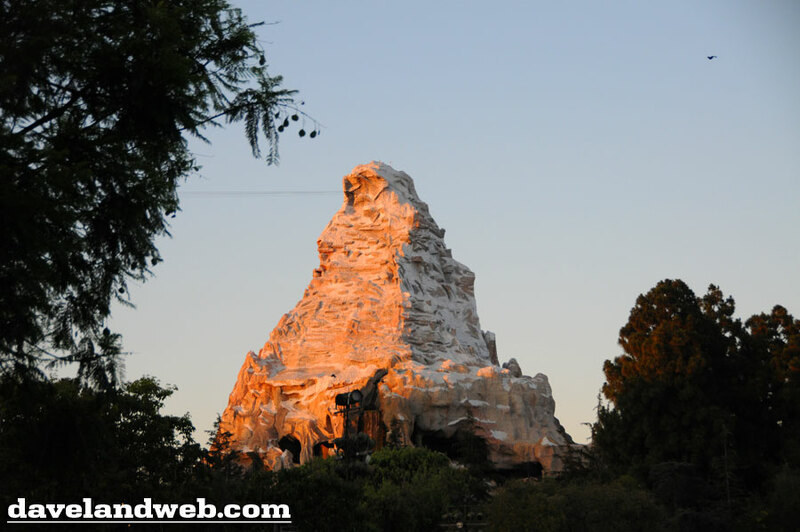 Zooming in, you can see the entrance, attraction posters (Mine Train Ride and The Disneyland Hotel), and a little girl running when she should be walking! 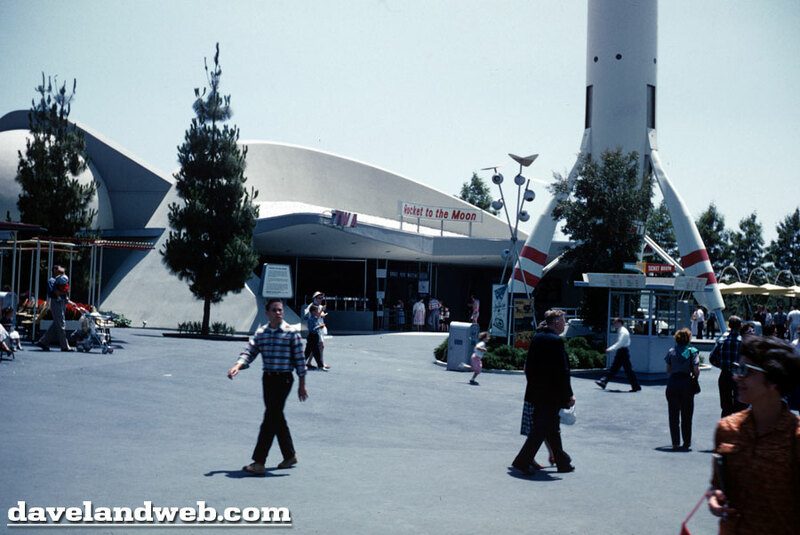 A little further to the right is the ticket booth? 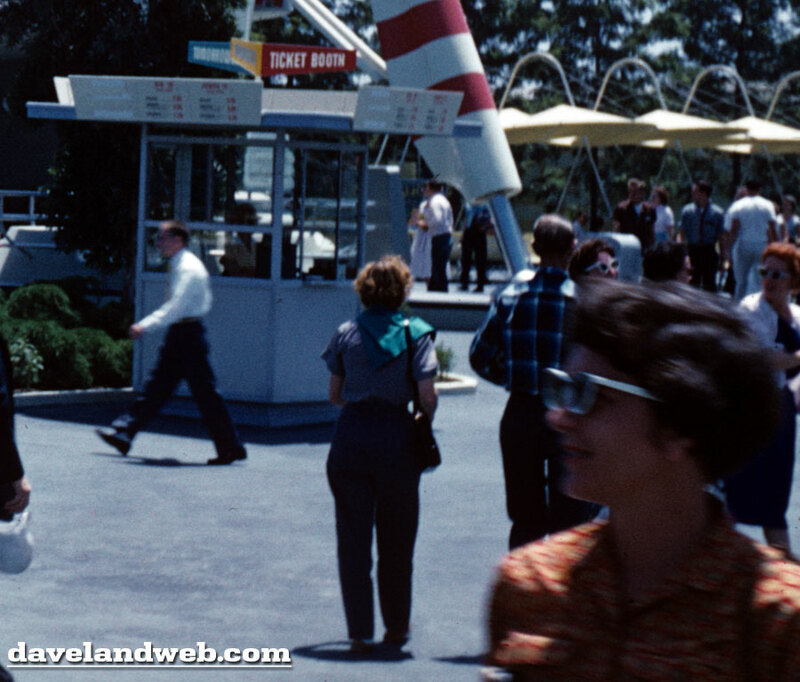 It's hard for guests today to imagine that at one time you had to have individual tickets for almost every attraction. 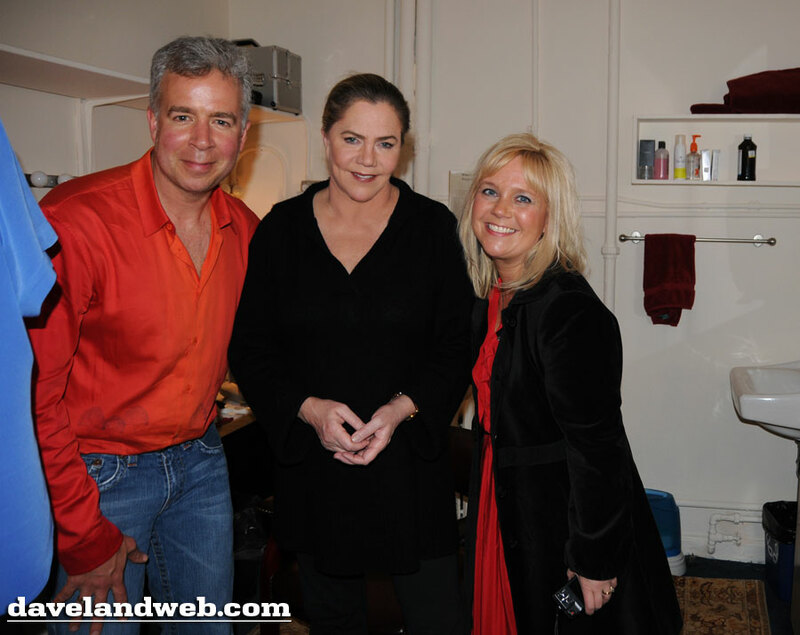 When my friend Christy called and said her hubby was bidding on a package to see Kathleen Turner in a preview of the play "High" on Broadway AND meet her afterwards...well, I was powerless to say "no." The bidding ended 30 minutes after we hung up, and before I knew it, we had won. Reality set in when I realized we had to get flights AND a hotel...for approximately only two weeks away. The juggling began and after some expert maneuvering, we were on our way to NYC! 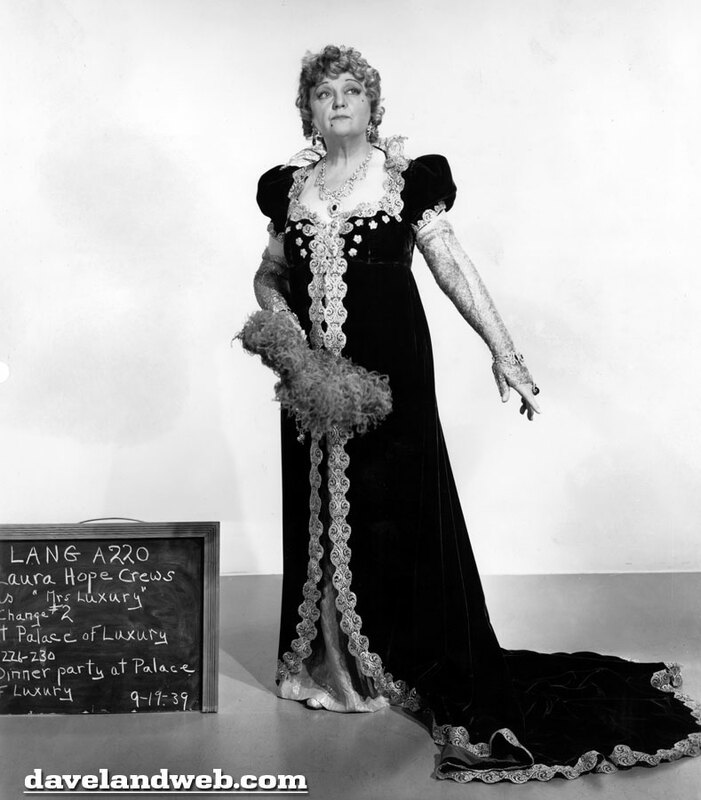 Turner has always been a fave of mine; I particularly admire her choices in roles. Rarely does she play it safe; oftentimes her movies (and especially her characters) are quirky. As she herself admits though, they are rarely victims. 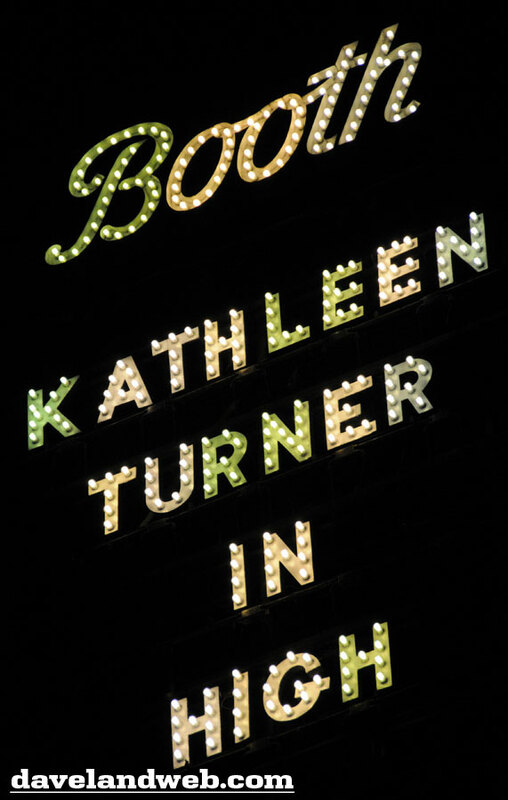 Basically, Kathleen Turner likes to portray women with cajones! The role of Sister Jamison Connelly (a recovering alcoholic addictions counselor) in “High” was no exception. 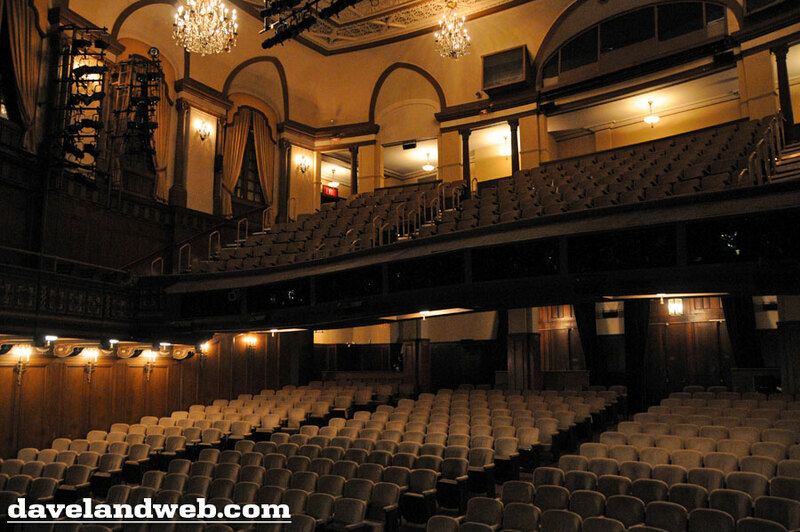 I’d never been to The Booth Theater, but what a fantastic venue! 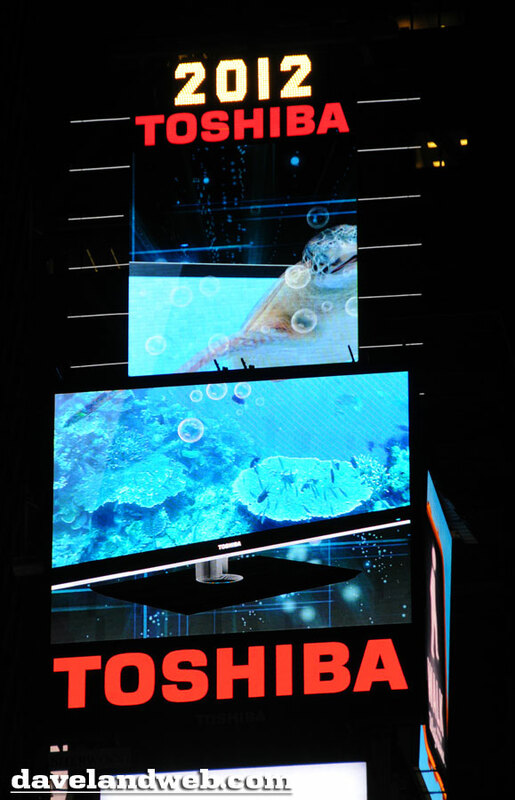 Ah...to see your name in lights! As for the play itself, both of us were extremely moved by it. 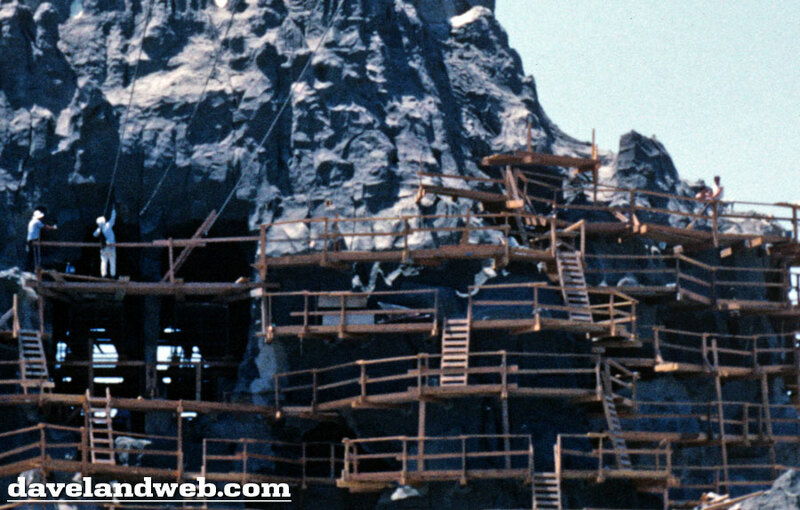 The scenery was simple yet highly effective, and worked perfectly with the barebones cast. Besides Sister Jamison, there was Cody Randall (Evan Jonigkeit), a young gay hustler addicted to drugs who never got a break in life. Jonigkeit did an excellent job of capturing the essence of a twitchy addict who takes drugs to make life bearable and block out the pain of a tortured childhood. 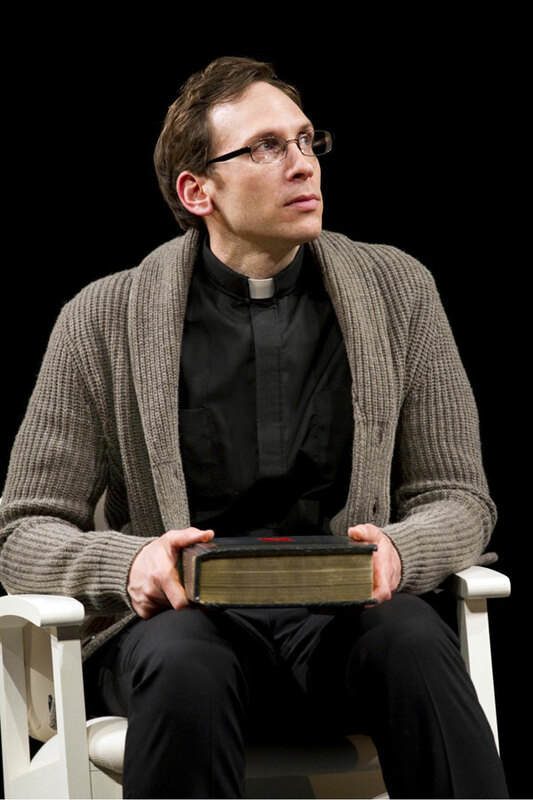 Stephen Kunken portrayed Father Michael Delpapp, the priest who forces Sister Jamison to take Cody on as a case against her will. As the play slowly unfolds, the secrets of each cast member become revealed. Thanks to the acting chops of all three, the play never becomes maudlin or melodramatic. 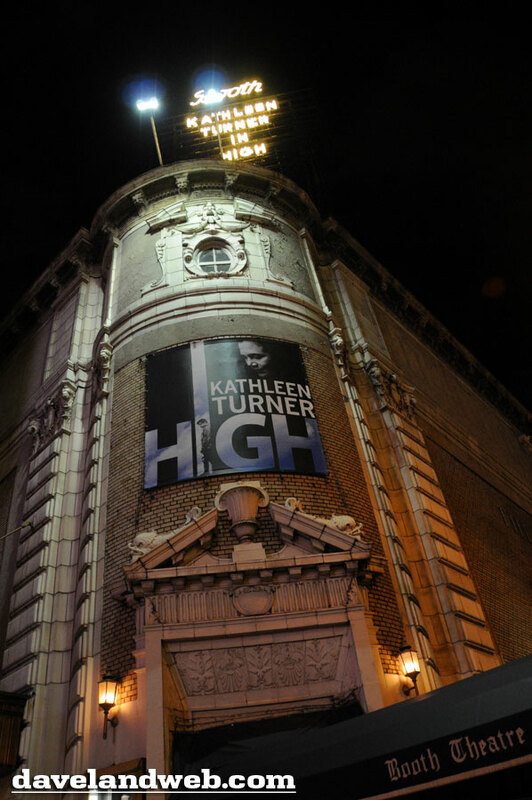 Turner’s presence and commanding voice keep everything grounded; her timing is impeccable, allowing the audience to savor the dry sarcasm of her lines before doling out the next one. 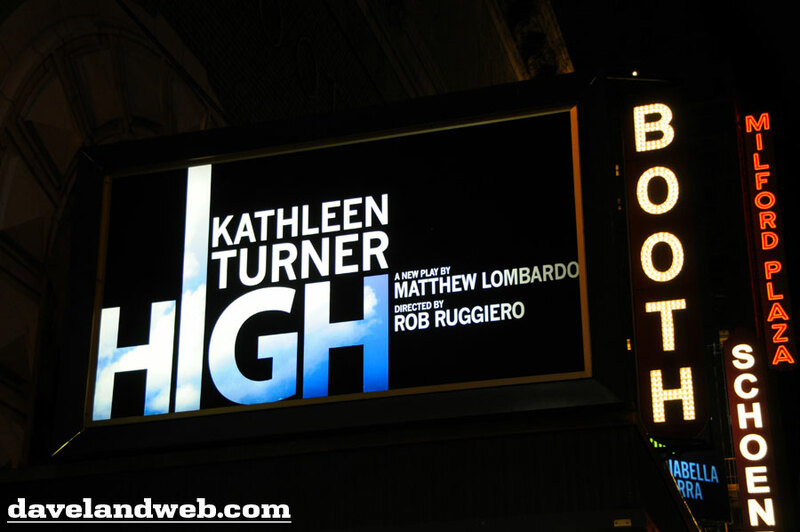 Meeting her in person was fantastic; I was surprised that both of us were ushered upstairs as soon as the play was over. For such an intense role, she had very little time for decompression before welcoming us warmly into her dressing room. Her excitement about the play was genuine; previously to taking on this role, she had no idea what a national epidemic the addiction to crystal meth was. In previous dry runs in the midwest, audience reaction and feedback educated her and gave her hope that this play might help increase the awareness of the issue. Please note that all shots of the play were not taken by me, but rather downloaded from a variety of websites. Believe it or not, I actually refrained from taking any shots during the play. Afterwards (which was around 11:30pm), Christy and I went to dinner. Good luck finding a decent restaurant in Southern California after 9:30pm, let alone 11:30pm! 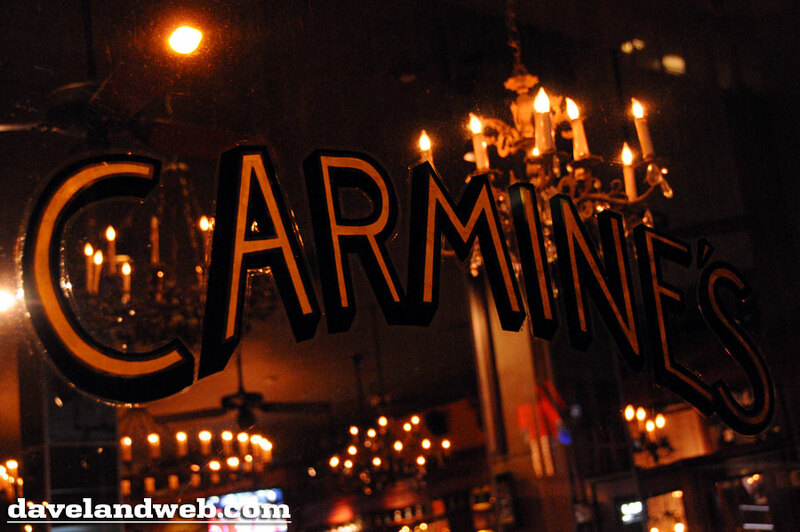 We chose Carmine’s, a very cool Italian restaurant close to the theater. The pasta with bolognese sauce hit the spot, and went perfectly with our after-play glow. 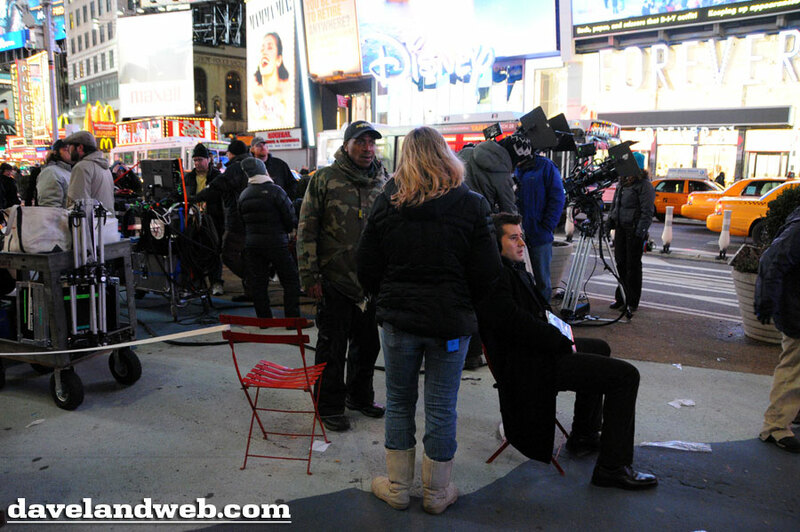 In Times Square, they were filming “New Year's Eve,” an upcoming Gary Marshall movie about..."New Year's Eve." 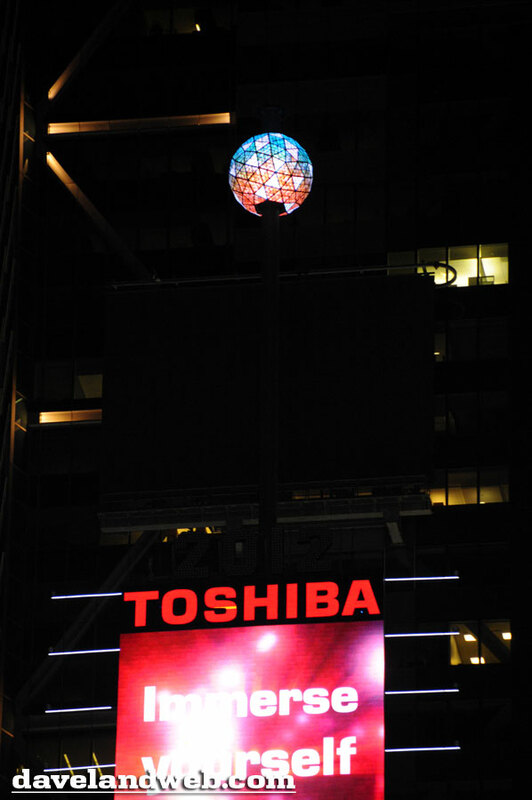 None of the leads (DeNiro, Katherine Heigl, Ashton Kutcher) were there, but it was still fun to see the ball drop over and over and over again for 2012! 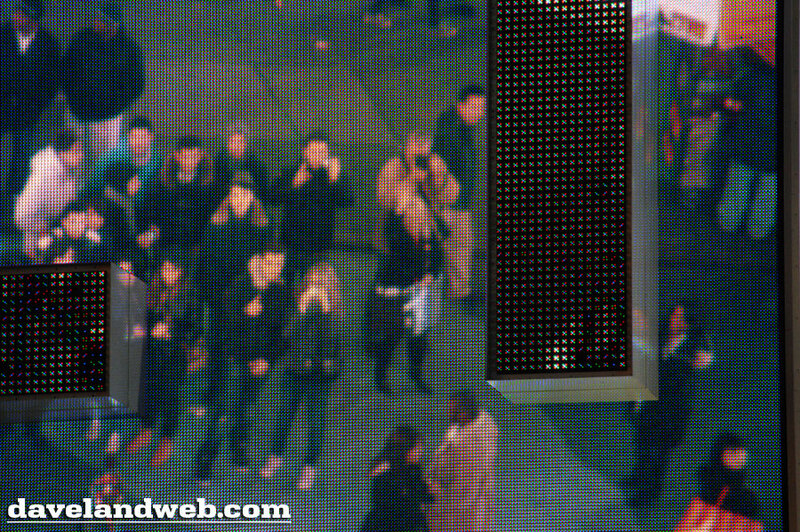 And we even got to see ourselves up on the big screen in Times Square. It shouldn't be surprising that I'm the one with the camera in front of my face! 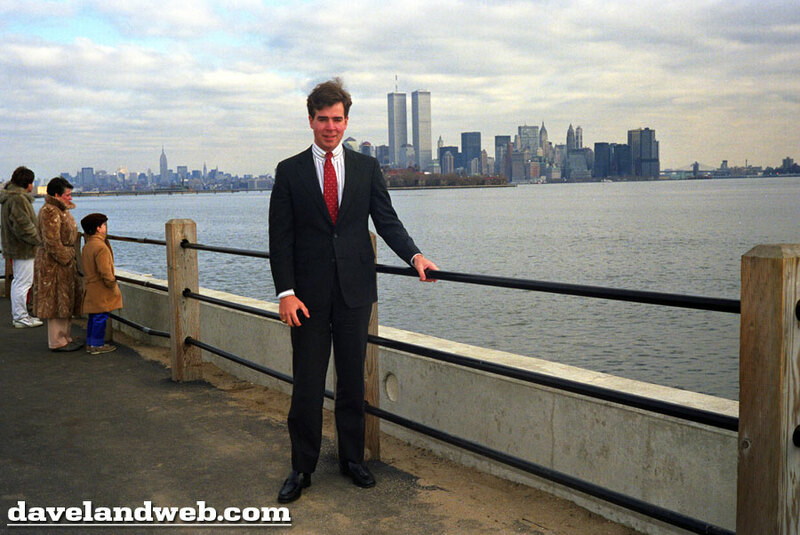 More NYC stories to come in the future. Follow my Daveland updates on Twitter. See more New York City photos at my regular website. 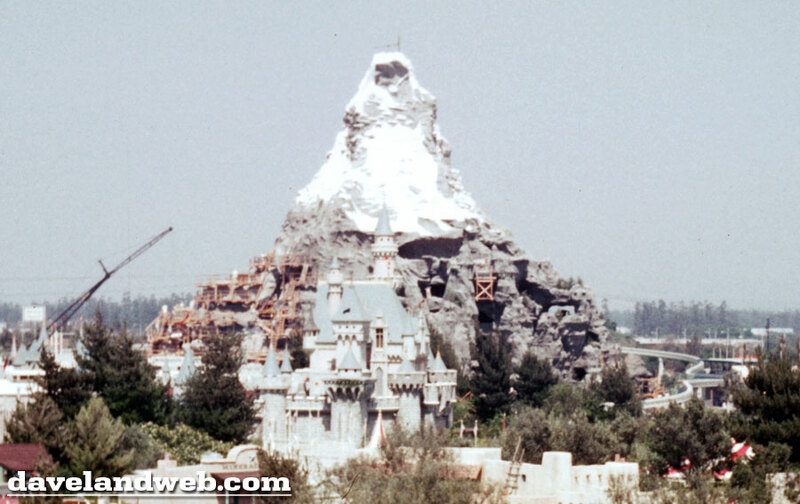 Yesterday, The Major noted some construction going on for the Matterhorn. Today, we take a closer look! 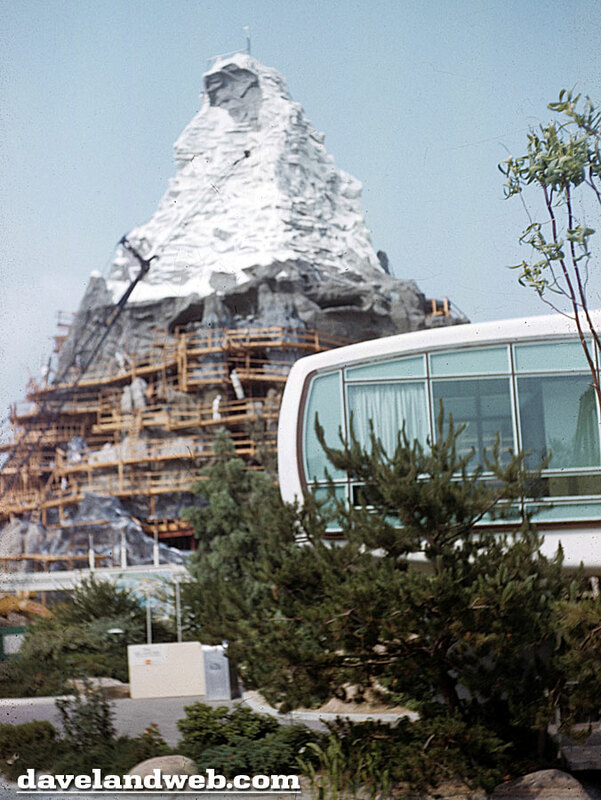 In these Spring 1959 images, the Matterhorn is nearing completion. 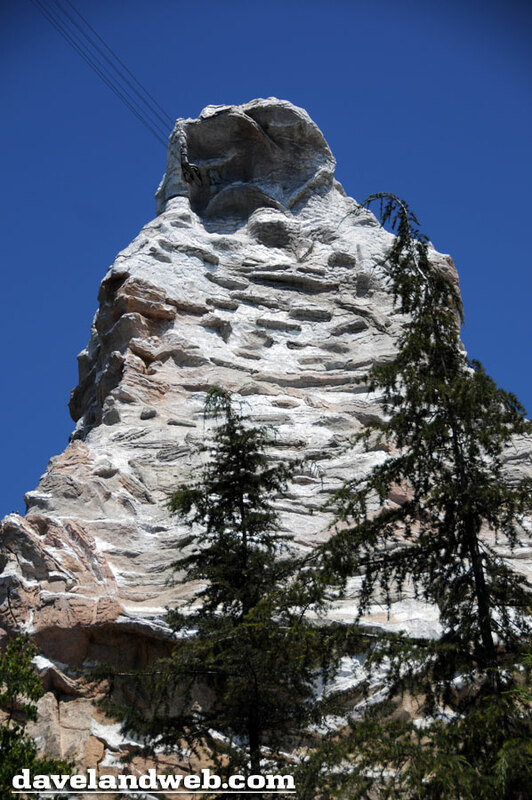 Even from way over yonder in Frontierland, this imposing man-made structure is clearly visible, towering over all that surrounds it. 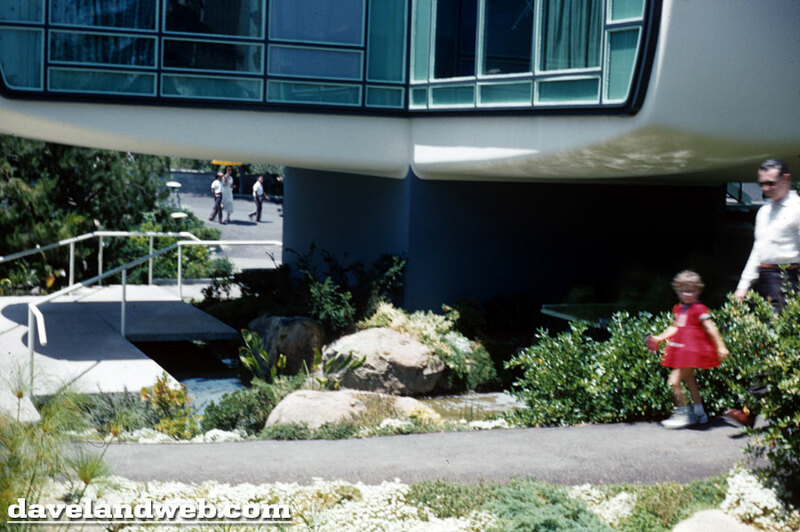 From Tomorrowland, all of the wooden scaffolding and stairs really screw around with the forced perspective. Sheer genius, I tell you! 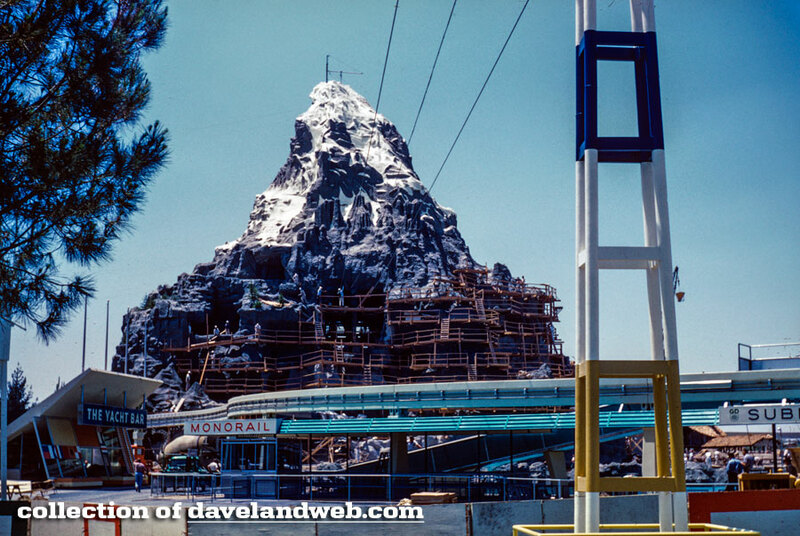 I wouldn't have minded wandering around the scaffolding to shoot a few photos back in '59. Follow my Daveland updates on Twitter. 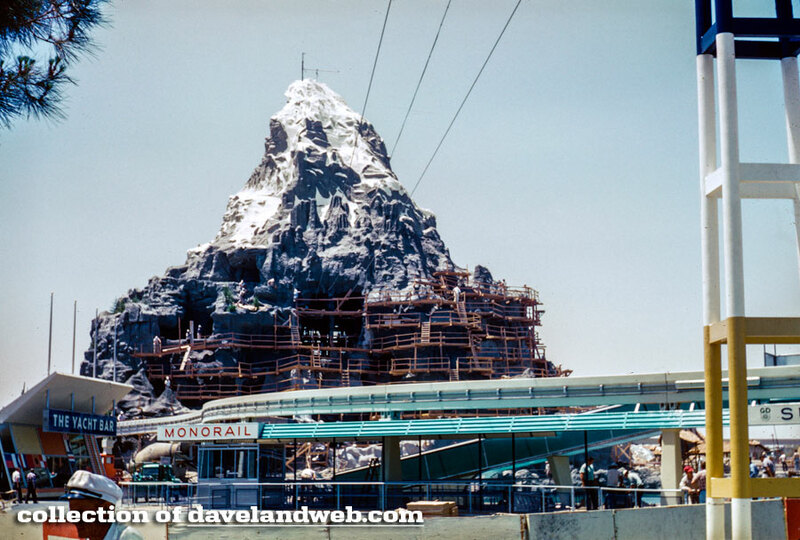 See more vintage & current Matterhorn photos at my regular website. 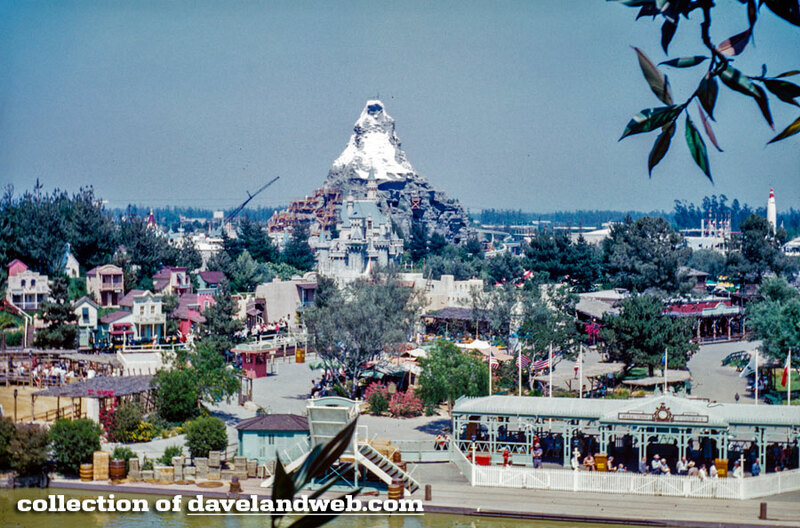 At this point, I am borderline jaded when it comes to getting excited about seeing vintage images of Disneyland. However, this particular batch has some doozies and I think that you'll like them too! 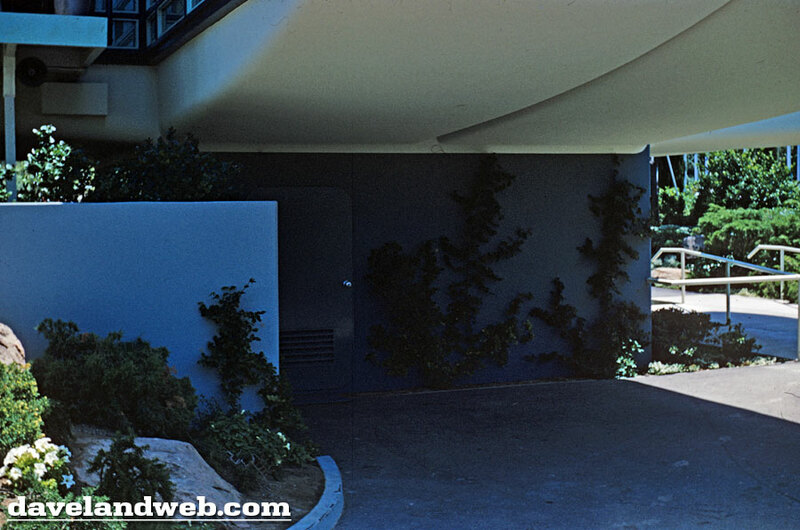 Our 1959 photographer seemed to love the Monsanto House of the Future. What was so great about it? Well, it had gadgets and gizmos that weren't even available yet. 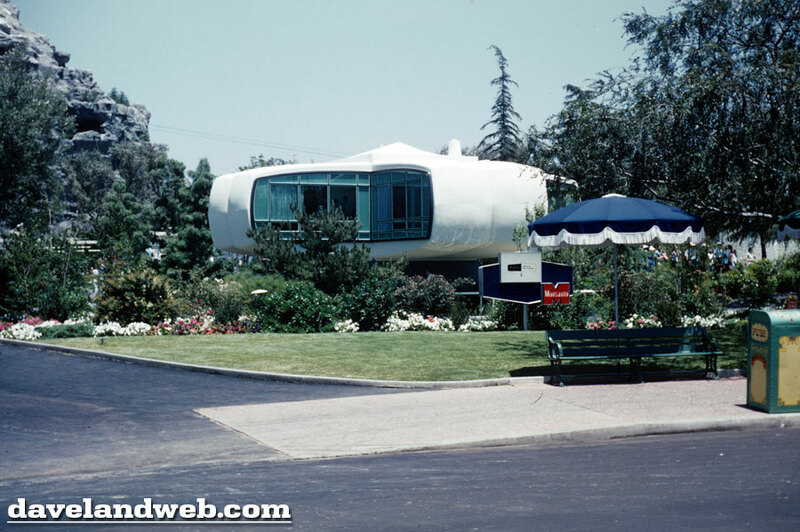 Things that took a number of years to become standard fare for a typical home. 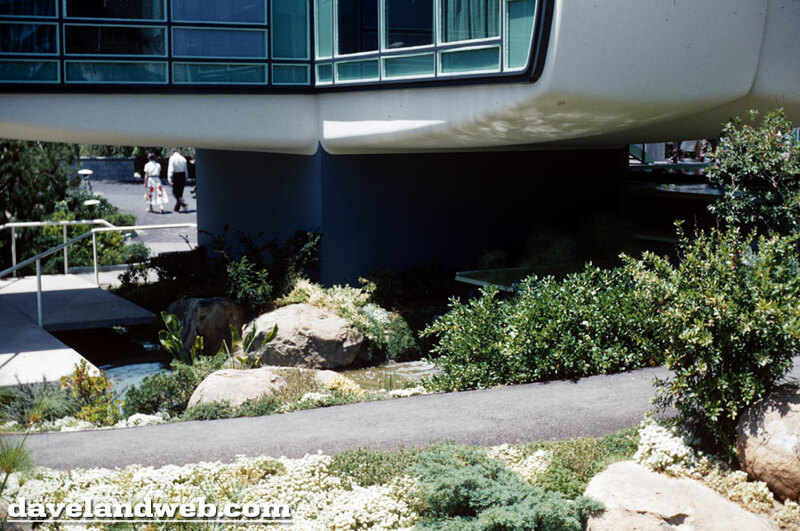 This is probably why I take offense to Innoventions and their current incarnation of the House of the Future. 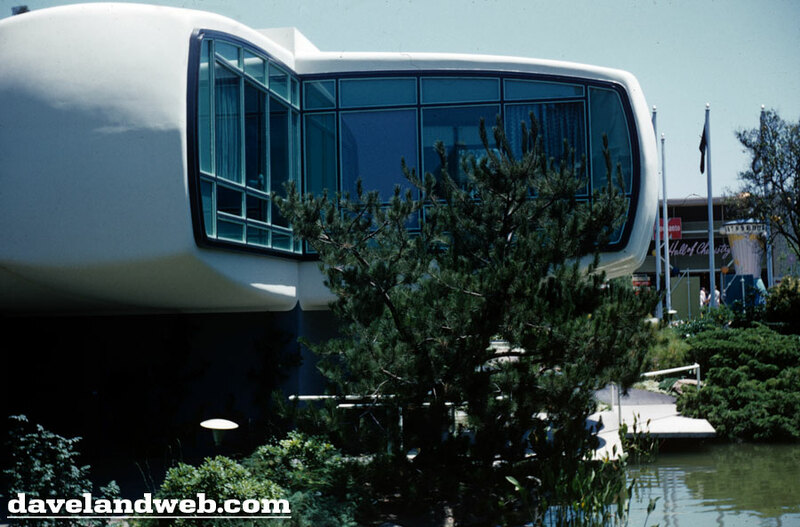 While I wouldn't mind living in a home like that, there really isn't too much technology that would cause the present mind to go "wow"! For some reason, the person taking these photos seems to have been fixated on the underbelly of the HOF; whatever he was trying to capture escapes me, but I'm sure glad he shot it anyway. How dare that little girl and her dad step into the exposure and get in the way! OK...much better! No guests in this one (other than the ones in the distance). And please...get nosy. Look in the windows at that neato floor lamp! Follow my Daveland updates on Twitter. 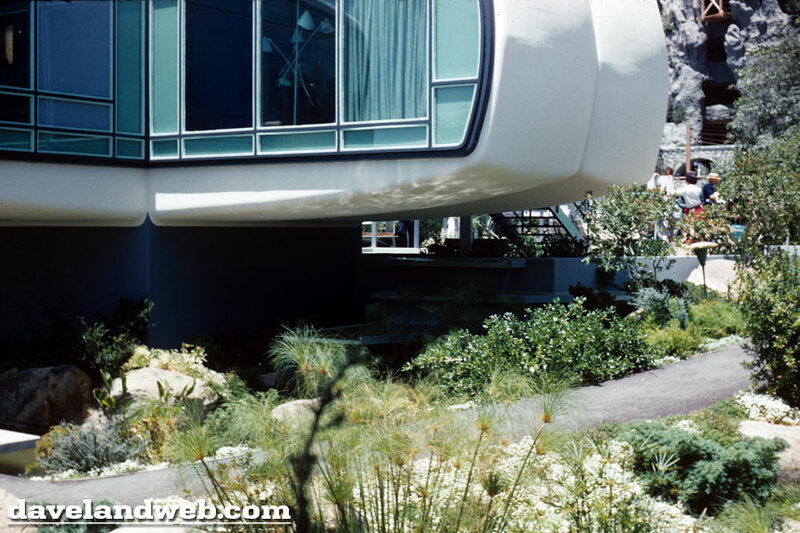 See more vintage Monsanto House of the Future photos at my regular website. Screen Gem Saturdays: Happy April Fool’s Day + 1! All About Bette: A Smokin’ Attraction!